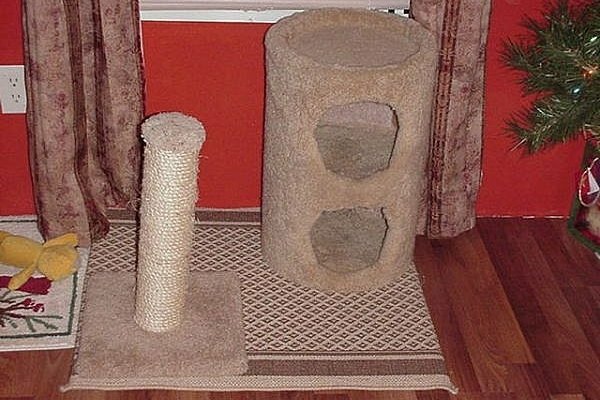 After pricing kitty condos for Rubio I decided that although my cat wasn't worth the $170 for a new condo with all the extras, the poor little guy deserved something. So I built him one in just a single weekend! Best of all it only cost $50. Purchase two 4' x 4' boards and cut to 4' x 3'. Cut a 12" diameter hole in one corner of one of the boards. 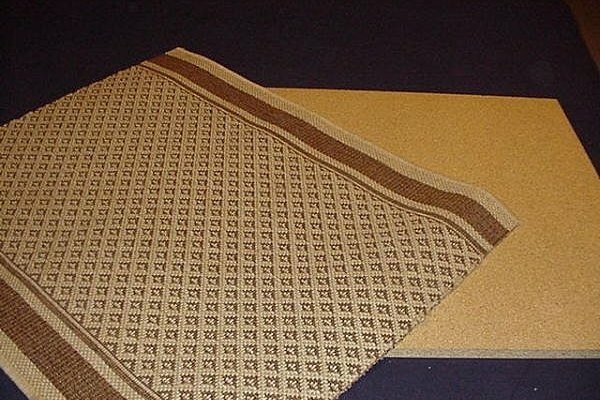 Apply the carpet to each border using the staple gun and small nails to tack it down. Wrap the rope around a landscape timber cut to length. I cut mine to 24". 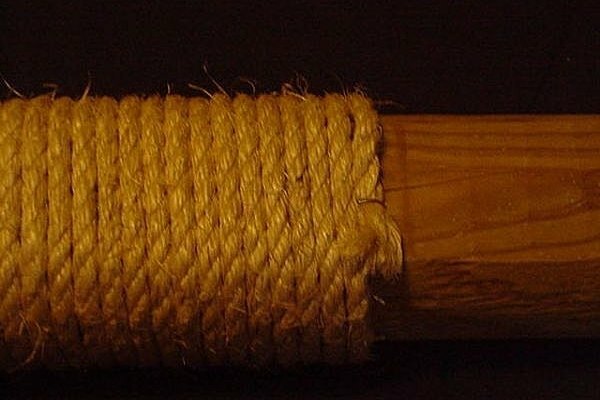 Wrap the rope tight and use nails to tack it down. Wrap the ends under to keep it from fraying. 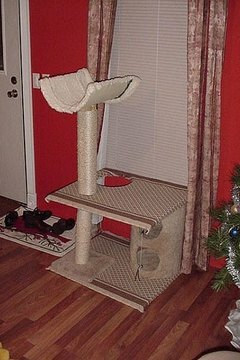 Next, I attached my cat's scratching post and his two hole house to the bottom base with screws. Then I placed the second board on and screwed it down. Then attach the landscape timber to the second level from the bottom side and lay the second layer on top of the two hole house and scratch post and screwed it down. The concrete tubes can be attached using nails and glue. Hot glue the lambskin into the inside for a comfortable bed. Set down and draw out what you currently have and how you can put it together. 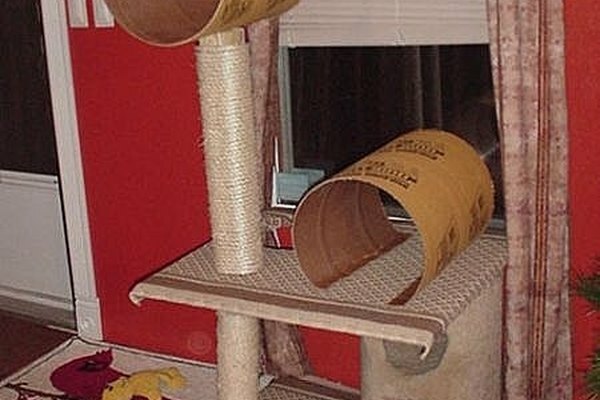 I even attached a cat toy to the bottom level.